Here’s something I didn’t know. Amazon actually has a special web page where they share with Kindle owners what they believe to be the “Best Books of May.” It’s got links not only to new e-books — but also some other special lists created by Amazon’s own book editors. 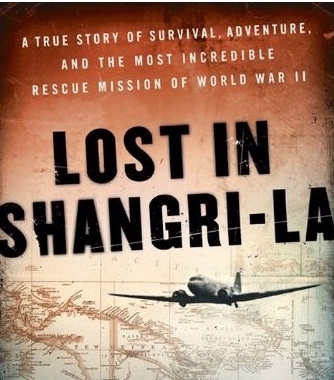 The book’s author pulled out all the stops to research this book — including declassified military documents and even one of the survivor’s diaries — and at one point even returned to the jungle in New Guinea to track down any natives in the villages who might remember the day 65 years ago when strangers fell from the sky. It sounds fascinating, but it’s a book I wouldn’t have known about without Amazon’s “Best Books of May” page. And the page offers a nice variety of reading choices. There’s several novels, a couple of thrillers, a short story collection, and even a history book. But there’s also some specialized categories — like the “Best Books for Young Adults” or “Best Books for Middle-Grade Readers”. (I have to complement one of the authors on a very clever title. “The Girl Who Circumnavigated Fairyland in a Ship of Her Own Making!”) And my favorite list is a fascinating hybrid, showing which of the editor’s picks are currently also best-sellers in Amazon’s Kindle store. At the top of the list is Tina Fey’s Bossypants, and of course Stieg Larsson’s trilogy (including “The Girl with the Dragon Tattoo”) is still going strong in the top 10. But the list keeps on going, ultimately offering 100 different recommendations. It’s got a great variety of authors, featuring books by everyone from Stephen King to Keith Richards. (And there’s even a new book by Mark Twain — a new edition of his autobiography.) 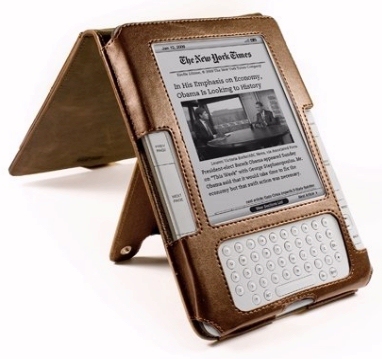 I’ve noticed that my Kindle makes me want to set aside more time for reading. And now Amazon’s “Best of May” web page makes it easier to find something to read!